Have you been to Flamingo, FL yet? It is a small place at the end of the road known as Florida State Highway 9336 inside the Everglades National Park. In Flamingo is one of the Everglades National Park Visitor Centers. It’s the biggest building in Flamingo and painted in pink just as the Flamingos (wading birds). 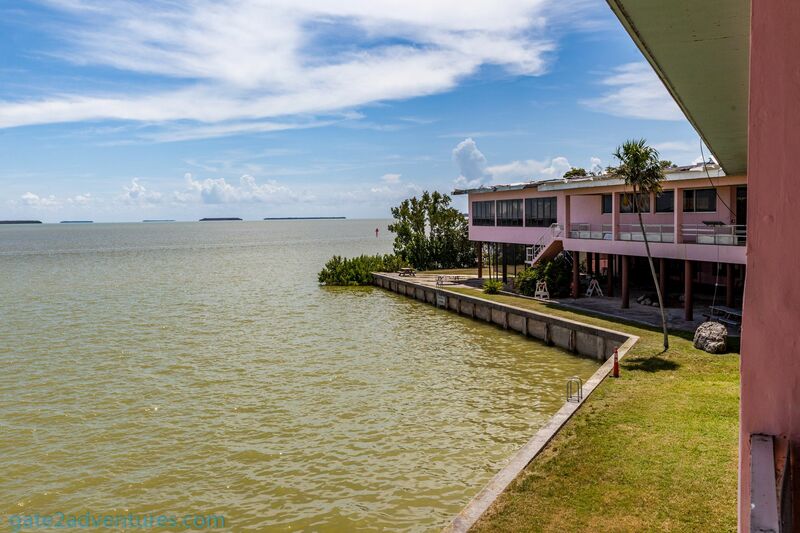 Flamingo is the main getaway on the south-side of the Everglades. Besides the visitor center, there is a marina with a store and campground. There used to be a restaurant in the same building as the visitor center, but the restaurant closed a few years ago due to hurricane damage. For some reason, it never got fixed and re-opened. The Everglades and the facilities inside, especially in Flamingo sustained major damage during the hurricanes Katrina (2005) and Irma (2017). 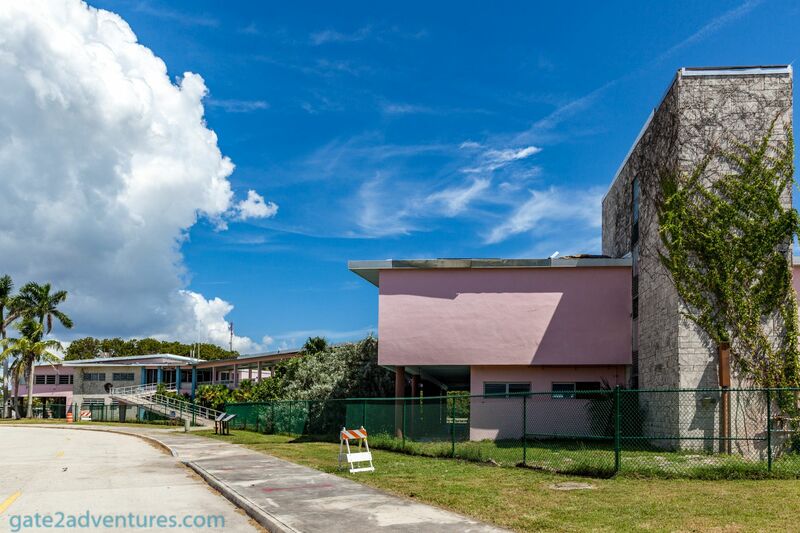 With hurricane Irma swooping through the area in September of 2017, the whole building suffered more severe damage and has to be fixed now. A temporary fix was in place until now and in Fall of 2018 the building will be closed and part of it demolished to rebuild it as a new visitor center. Don’t keep your dreams up for a new restaurant. The second half of the building will be administrative offices once the remodeling is done. Too bad, as the restaurant would be perfect in the building as it has a nice view of the waterfront. I visited the past weekend and there was already fencing in place around the visitor center. It was still open but parts of the exhibits inside were closed and the bridge connecting to the restaurant was now fenced off as well. Two years ago I was still able to walk all the way to the other side. It seems they are planning to re-open in Spring 2021. A temporary visitor center and restroom facilities are already in place in the adjacent parking lot. 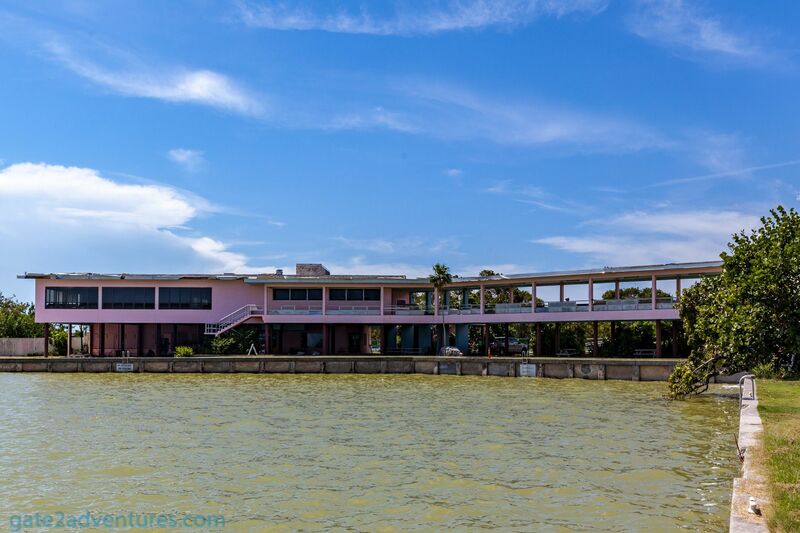 Once rehabilitation of the building is done, which was built in the late 1950s, it will be called Guy Bradley Visitor Center instead of Flamingo Visitor Center. The historic building exterior will stay the same and it will keep its pink color as well. For the next few years, the building won’t make a pretty selfie object once construction started. But hopefully, after rehabilitation is done, it will be better than ever before. Funding for this project comes from park fees (entrance fees, camping fees,…) and generous donations from the South Florida National Park Trust and the Everglades Association. I hope more funds can be allocated to restore what the hurricanes in the past destroyed. For example the West Lake Trail Boardwalk. The part of the boardwalk which reaches into West Lake got damaged last year by Irma and collapsed. Also, the road to the Pahayokee Overlook was closed this weekend. Unfortunately, I don’t know if this is due to hurricane damage or for other reasons.